The single biggest reason that people fail to get what they want out of life is that they never bother to figure out what they want. When you know what your dreams are, what you're trying to achieve, you have a sense of what you're working for. Haven't you noticed how that commitment of achievement lights a fire under you? How it makes you willing to do whatever it takes to succeed? This kind of commitment inspires you to achieve. 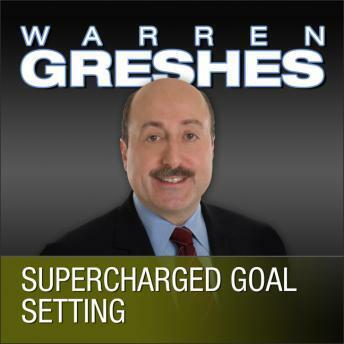 And it's exactly the kind of commitment Warren Greshes helps you develop in Supercharged Goal-Setting. Let Supercharged Goal-Setting re-energize your motivation and rekindle the drive to succeed.